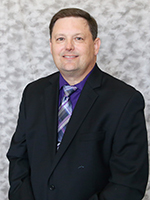 Marty W. Schimp, a native of Belmond, Iowa serves as an independent advisor for Bradford. He is a graduate of Buena Vista University where he earned his BA degree in business management. Marty’s investment beliefs center around a long-term, value-oriented objective. When he works with investors, he sets a five-year time frame for each portfolio. His goal is to ensure each investor understands and feels comfortable with every investment in his or her portfolio. He works primarily with investment planning (retirement and wealth building) and estate planning – transferring the family wealth to your heirs by minimizing or eliminating taxes and expenses. Marty is a Chartered Retirement Plans Specialist®, Financial Advisor with Bradford Financial Center and a Registered Representative with United Planners Financial Services.